Imi Lichtenfeld was an unexceptionably athlete, having among others a thorough training in Judo, Japanese Jiu-Jitsu, boxing and wrestling. He accumulated over 12 years of experience on the battlefield and in guerrilla confrontations and then he worked over 20 years as chief instructor of self-defense and close combat in the Israeli army. 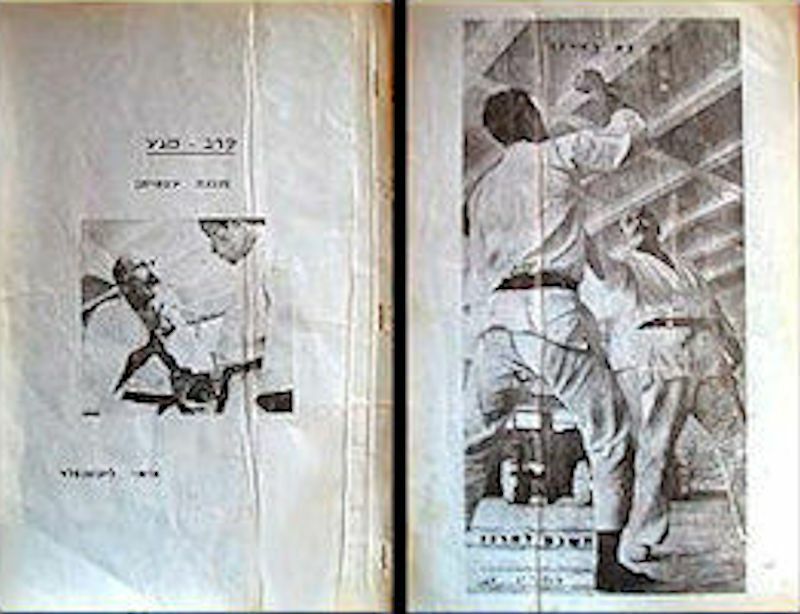 Summarizing his life's experiences, Imi created in 1971 Krav-Maga, the Israeli martial art of self-defense. He designed it so that it is effective and accessible to all people, strong or weak, men and women, children or adults. Imi Lichtenfeld was born in 1910, in Bratislava. His father was the chief detective and instructor for restraint techniques of the local police. On his father's guidance, Imi began to practice various sport since childhood. 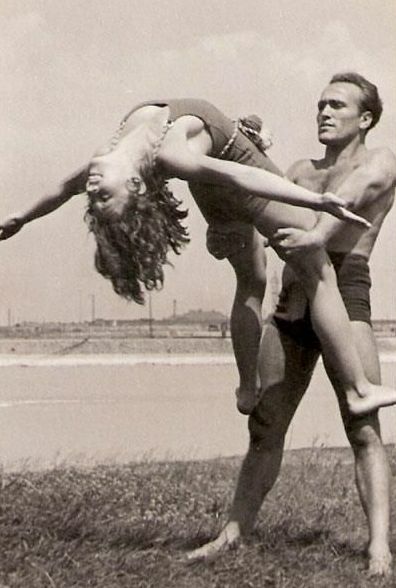 He worked for several years in the circus, specializing in trapeze, which was considered the most difficult technique to master. He trained and earned the black belt both in Judo and in traditional Japanese Jiu-Jitsu. In 1929 he became European champion in boxing, in the heavyweight category, in a time when they fighted with very few rules and often without protections. He learned wrestling and he was multiple times European champion in this discipline. On the other hand, Imi was famous as a waltz instructor and owned one of the largest waltz schools in that time. Undoubtedly, this vast repertoire of physical activity helped him to understand the possibilities and limitations of the human body, forming a fertile field in which later will germinate his martial art. In the mid 30s, Jewish life in Bratislava worsened much. Until 1940 when the Nazis invaded his country, Imi had organized his friends in groups which whom he used to perform punishment actions against the antisemites which harmed the Jews. When World War II started Imi joined the Czech Legion, which was part of the British Army. He fought against the fascists on the fronts of Egypt. At the end of the war, Imi went to Israel and joined the largest partisan organizations (called "Hagana") who fought for independence against the British occupation and the neighboring Arab states. He was immediately appointed instructor of force, self-defense and direct combat of the Hagana, but Imi trained personnel and members of other groups of partisans, too. Imi's work from this period influenced and inspired a lot of legends of Israel. When the state of Israel was created, Imi became the chief instructor for self-defense of "Tzahal" - Israel Defense Forces (IDF). He trained personally the fighters of the elite forces of the Israel, people which, with the help of the techniques learned, ability and courage, changed the destiny of operations and wars they took part into. The news of the exceptional results he got in the army spread, and Imi got to teach other Israeli armed structures as well, such as the police and various security services. Imi retired from the army in 1967. At that point there was no Krav-Maga as we know it now. During his military service Imi never spent more than 1-2 weeks with each group of soldiers whom he trained, being thus impossible to create a martial art in these circumstances. 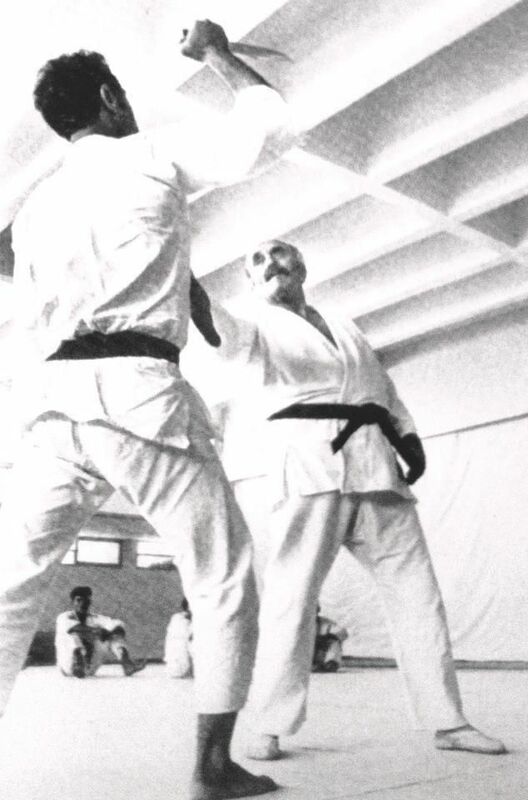 After retiring in 1967, Imi decided to use all his experience gained on the battlefield and in the army to create the Israeli martial art of self-defense. He wanted to create something that would be useful inclusively to civilians: regular women, men and children. For this, Imi opened two training centers, one in Netanya (his hometown) and the other one in Tel Aviv, each one with five students he trained personally. In 1971, Imi decided that his new creation is complete and only then he called it "Krav-Maga", translated as "close combat" between army corps. This Krav-Maga contains both techniques taken from the army as well as techniques adapted to civilians, so that an experienced practitioner can do well in both areas. 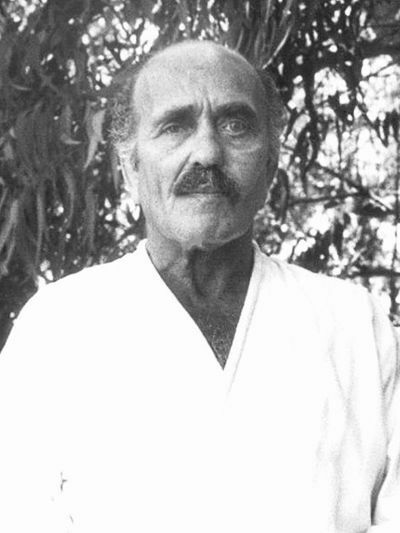 Imi was until his death the counselor and the advisor of Israel Defense Forces, and even in old age, he trained the advanced holders of black belts in Krav-Maga. He was present in all the seminars and meetings in Israel with practitioners worldwide, overseeing and transmitting personally the experiences, discoveries and practical significance of his creation, Krav-Maga. Imi Lichtenfeld died in January 1998, at 88 years. He was buried in Netanya, Israel. 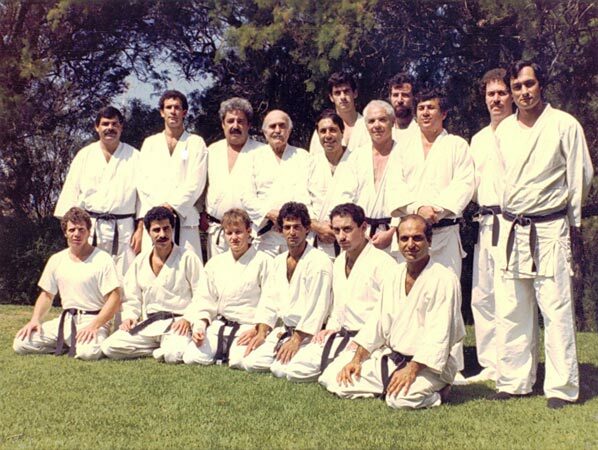 In August 1971, Imi Lichtenfeld held at the Wingate Institute in Israel the first course for Krav-Maga instructors in the world. In the end of this course, Imi gave to the new instructors a printed brochure, of 14 pages, which included the list of names of all the techniques of Krav-Maga grouped by belts, from the yellow to the black belt. Go to KRAV-MAGA for more information about the history of Krav-Maga, existing schools in the world, principles and techniques, belts and exams etc. 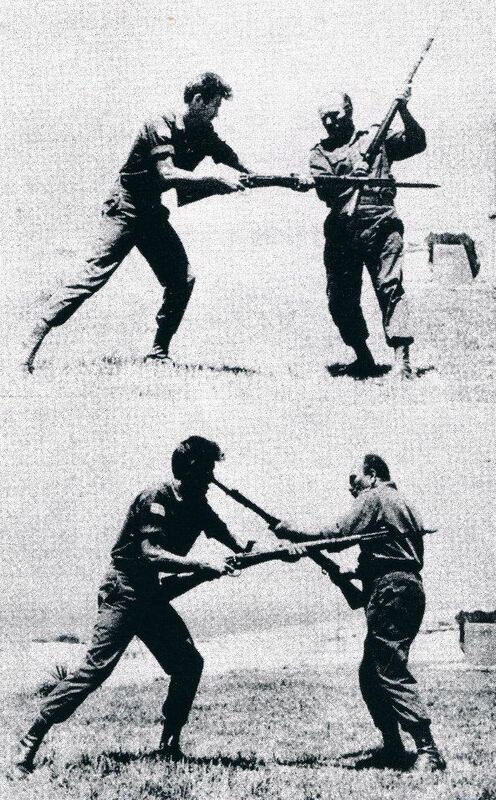 Imi Lichtenfeld teaching self defense techniques in the Israeli army (defense against bayonet attack). Imi Lichtenfeld teaching Krav-Maga (defense agains the knife attack), after his retirement. Imi Lichtenfeld and his students in 1982. Only ten of them received a black belt in Krav-Maga directly from Imi. In the MEDIA gallery you will find an album with more photos from the life of Imi Lichtenfeld.